This level have much hard difficulty as this level have little complicated candy board plus its hard to balance the Odus owl for this level. 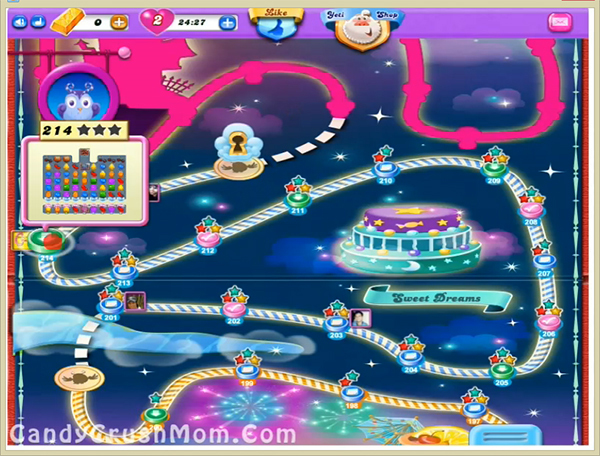 For this level you need to play from bottom of the ingredients or use special candy with balancing the owl. After moon struck try to play more with special candies and combos to take down all ingredeints as soon as possible. We completed this level with 155780 score using same strategy that we said above and in the end after second move last jelly automatically broke that help us luckily to reach requirement before just two moves with three star score.